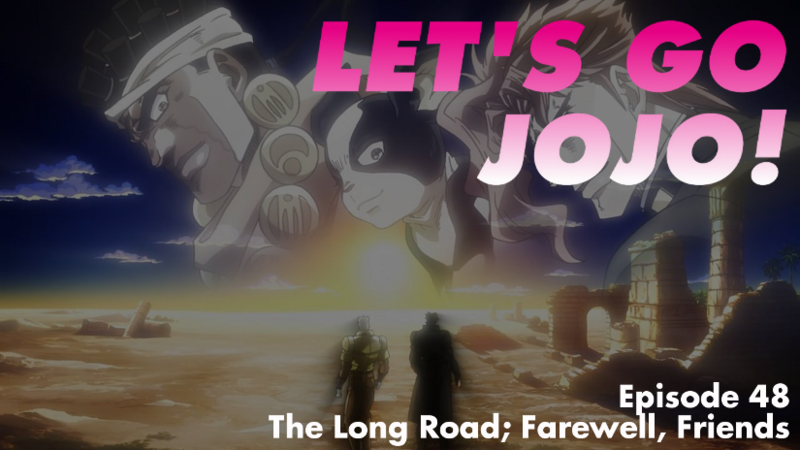 We reach the end of Stardust Crusaders and the end of the weekly JoJo’s Bizarre Adventure podcast from Dynamite In the Brain and Secret Of The Sailor Madness. Far more talk of trepanning than you might expect, celebration of the bit part actors and teases of future podcasts, both JoJo’s and otherwise. I’m not exactly sold on this particular translation of the chapter. I always like “The Long Journey Ends, Farewell My Friends”. I guess CrunchyRoll are getting charged by the letters on the title? This made me chuckle. The thought of Crunchy roll getting charged for each character they use in an episode title. Though yeah, “The Long Journey Ends, Farewell My Friends” does definitely sound better.